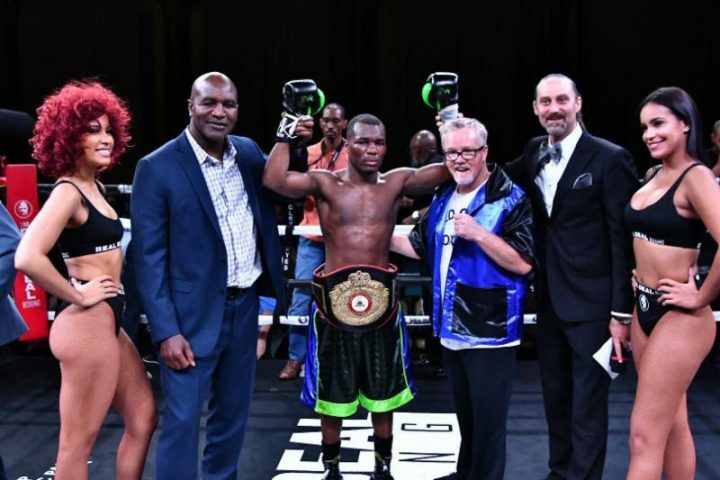 The Real Deal Boxing just celebrated it’s one year anniversary and now the company is proud to announce that the IBF has ordered a purse bid for The Real Deal Boxing’s Toka Kahn Clary (25-1, 17 KO) to face Kid Galahad (24-0, 15 KO) in a featherweight world title eliminator to be the mandatory title defense against England’s Josh Warrington (27-0, 6 KO). “We have had multiple conversations with Kid Galahad’s team and we look forward to coming to an agreement for a fight between Clary against Galahad this fall.” explains, The Real Deal Boxing CEO, Sal Musumeci. “Although we feel we have the best stable of undefeated blue chip prospects out of any current promotion, fighters that we believe will be the face of boxing over the coming years like Edgar Berlanga (8-0, 8 KO), JaNelson Bocachica (10-0, 8 KO) and Joshua Temple (6-0, 5 KO) to name a few, it’s always important for a new promotional outfit to prove that they have the ability to guide a legitimate contender to a title shot like in the case of Toka.” says, The Real Deal Boxing COO, Eric Bentley. Promoted 13 shows in 12 months in 6 states and 2 countries. Signed a deal to air Real Deal events on CBS Sports and CBS Sports Digital platforms. Created The Jose Sulaiman World Invitational Tournament, a bracket style elimination tournament held in conjunction with the WBC where 8 fighters representing their home countries compete to be in position to fight for the WBC Welterweight World Title. The first round took place this past April in Kentucky at the KFC Yum Center and was broadcast internationally. The second round is scheduled for August 25th in Toronto, Canada. Used the WBC tournament to create several new initiatives for the sport including changes to judging, scoring, introducing instant replay and having state of the art pre and post fight medical requirements. The initiatives have received interest from multiple commissions interested in adopting them into their own rules and regulations. Created a ongoing showcase series at the renovated Kings Theatre in the Flatbush area of Brooklyn to promote New York area prospects. Promoted a fight in the running for Upset of the Year when veteran fan favorite, Francisco Santana defeated Olympic Gold Medalist and World Title Challenger, Feliz Diaz in the first round of the Jose Sulaiman WBC World Invitational Tournament. We wouldn’t be here without you! Thanks to all the media that has supported us in our first year. The Real Deal Boxing staff and our fighters are always available to talk.